Stab binding is one of the simplest and earliest forms of bookbinding, using single sheets in which holes are stabbed or drilled and sewn on the outside using a variety of traditional stitch patterns. In this follow-up to the softcover stab binding class, you will learn how to make a Westernized version of this traditional Japanese binding with a hard hinged cover. You can take this class without having taken the softcover class first. This class runs for two weeks on Tuesday evenings,July 3 and 10, from 7-9pm. In the first session you will prepare the cover for your book, and in the second session you will prepare the pages and complete your binding. All materials are provided, including paper, and you will leave the class with a finished book. 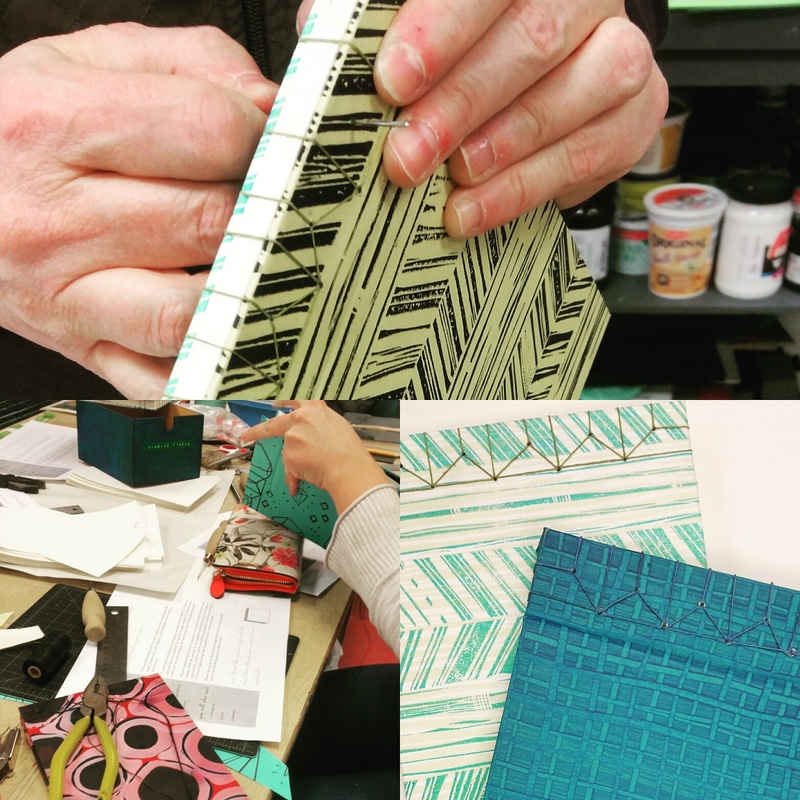 We will be wrapping our cover boards in paper and will have a selection of decorative papers for you to choose from, but if you would like to bring your own special paper to use, feel free! Just remember to ask us about size requirements when you sign up.